What do Trump supporters and Sanders supporters have in common? It has been said that “all TV is entertainment.” Whether a program is labeled “news” or a “candidates’ debate,” that characterization still applies. Well, the current Presidential campaign has sure been entertaining, with Donald Trump’s bombast and Bernie Sanders’ grandfatherly populism, in contrast to Hillary Clinton’s bland appeal to feminism and her (dubious) record of achievement. Hillary is clearly the favorite of the establishment, the darling of Goldman Sachs and big corporate business, and the standard bearer for the status quo and continuation of Obama’s policies. On the Republican side, it seems that no establishment candidate has so far been able to derail the Trump march toward the nomination. The last best hope for them at this point seems to be Ted Cruz. While Cruz has been trying to portray himself as being against the big banks, the fact is that his wife, Heidi, is an investment banker and a longtime employee of Goldman Sachs. Furthermore, his 2012 Senate campaign was financed in part by a sizeable loan from Goldman Sachs. For the details on all of this see John Cassidy’s New Yorker article at http://www.newyorker.com/news/john-cassidy/ted-cruzs-goldman-sachs-problem. Despite the evident philosophical differences between Republicans and Democrats and the outdated characterization of political sentiments as being either right or left, conservative or liberal, the phenomenon of massive popular support for the two apparent anti-establishment candidates, Donald Trump and Bernie Sander, reflects a deeper concern that is shared amongst their supporters. They are sick and tired of politics as usual and the course this country has been on for the past three decades. Can either Trump or Sanders, or anyone else for that matter, remedy any of those concerns from the White House? 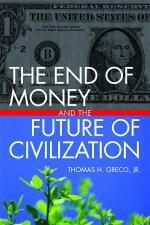 Given the present political structures and dynamics of power based on the control of money, that seems very unlikely. Reversing the destructive anti-democratic trends will take a massive popular movement, one that makes clear to people what their common interests are, and is able to get them to work in harmony toward common goals. This promises to be the conference of the year. Here is another great interview of Dr. Paul Craig Roberts, former Assistant Secretary of the Treasury in the Reagan administration. I think even the interviewer, Greg Hunter had some scales removed from his eyes. Dr. Roberts is one of the few commentators today who see what is really going on and is willing to tell about it.